Handmade Carpet is an exclusive thing which gives a luxurious look, adds cozy and warm touch to a beautiful space once placed. These are expensive so if you want to use a handmade carpet or are thinking of buying a handmade rug then first you should know how to clean it and how can you increase the life of your beautiful rug. A handmade carpet is very helpful to make our life easy and joyful by adding cozy, comfort and soft touch on one’s room surface and wall as well. But if you use it continuously without cleaning or vacuuming then it will become dusty which is harmful to you and your family. 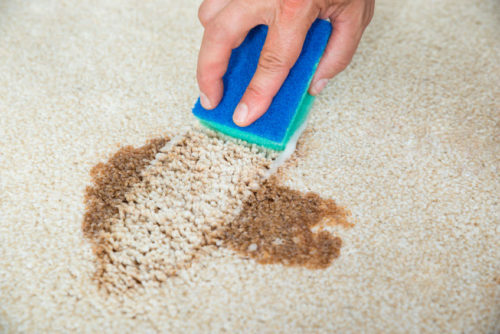 So find the best way by which you can clean and maintain your carpet very easily. There are two types of cleaning; first is cleaning at your home and second by professional cleaning. 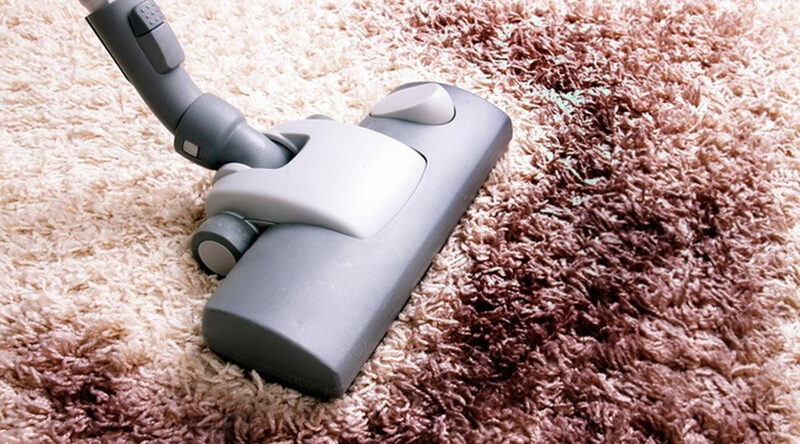 Cleaning of carpet at home using Vacuum: – If you are using a handmade carpet then you should take care of this. You can clean your carpet using a vacuum. Every carpet needs cleaning so you should do it every week in the direction of the pile of the rug. When you are vacuuming of your carpet, do it from both sides- back and front for better cleaning results. Using Shampoo or detergents: – If carpets contain any stain or spot like wine spot then you can use detergent or shampoo solution. 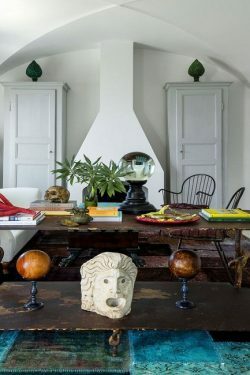 Place the handmade rug at an empty place and flow the solution on it and scrub by hand at the stain part of the carpet. When carpet is cleaned then dry it in shadow. Avoid placing it in direct sun light for drying. Using baking soda: – If your carpet is clean but only little part of the carpet contains dark spot, for this problem you can use baking soda. Spray the powder on stain area and leave it for 20 minutes and then vacuum it. Professional cleaning and Repairing services: – This is not possible for a lot of people that they buy a handmade carpet every year. 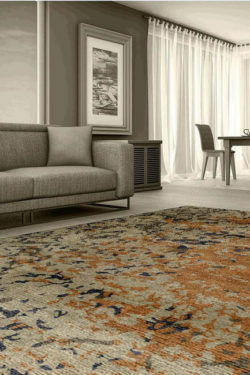 This is good news those who cannot afford to spend on a carpet regularly, and if they want to repair their old piece, then they can visit Yak Carpet, Delhi. Yak Carpet Pvt. Ltd: – Yak Carpet is the oldest manufacturing company in the carpet industry. They have a huge stock of handmade carpets including pure silk, woolen, Afghan, kilim, antique, vintage carpets and beautiful dhurries at a reasonable price. Yak Carpet has a plethora of weavers who weave handmade carpets and represent the hardship and beautiful hand art work by weaving some amazing carpets. They provide repairing and carpet cleaning services. 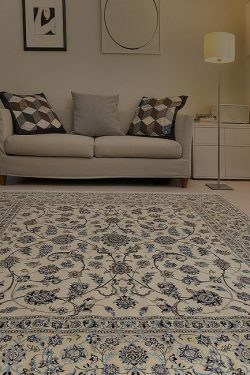 So if you need any help for handmade carpet cleaning and repairing then you can freely contact them for stellar results. Never use a brush for handmade silk carpet otherwise this may destroy the beauty of piles. 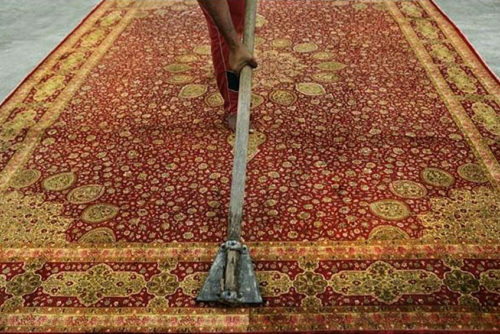 Go with professional cleaning but make sure that they don’t use dry-cleaning detergents or liquids for cleaning a handmade carpet. Never place your carpet in direct sun light. Vacuum a handmade carpet regularly.